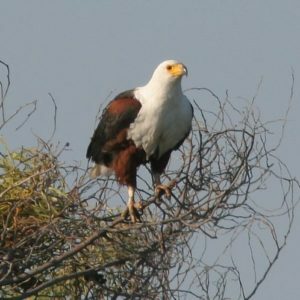 In Knysna a pair breeds at Lake Brenton and may be seen on most days sitting on oyster bed poles between Leisure Isle and Lake Brenton. May be heard and seen flying over Leisure Isle. 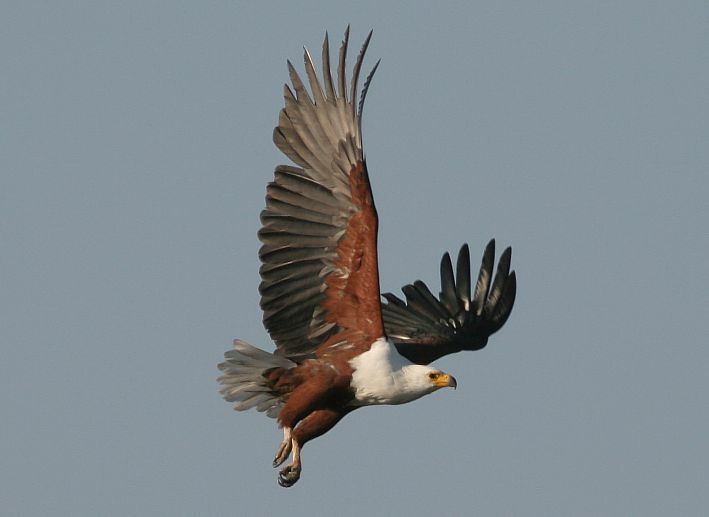 Adult: white head, neck and breast, chestnut belly and coverts, black wings, tail white. Sub-adult: mainly white head and breast, belly black, white tail tipped brown. 51 to 68 cm Resident mainly fish.